I must confess I had not given this notion much thought before the week of April 17, 2011. Easter has always been a quiet and contemplative annual celebration; one in which my total focus has been on the incredible sacrifice Jesus Christ made to save us from our sins. It has been a solemn reflection for me to contemplate how a Father could willingly offer his only Son as a sacrifice for those who bore Him little reverence, honor, or respect. Still, no event in recent memory has evoked more heart moving and tear jerking experiences than that of this community’s response to the tragic F3 tornado that tore a 10- mile swath through our fair county on April 16th. I have been so moved by the outpouring of Christian kindness to the victims of that ravaging storm, and the spirit of cooperation among all of the many volunteers who have sacrificed immeasurably to help their brothers and sisters of Sanford and Lee County. I am especially blessed to have been granted the favor of witnessing the hundreds of volunteers united as one, using social media phenomenon MATT 6 to honor God this Easter season. I know Jesus is smiling at the awesome results from His body working together through this organization for a common purpose; that being to serve Him in such a magnificent way. For those who haven’t had the recent occasion to re-visit the Sermon on the Mount, might I suggest you take 10 minutes to read Matthew chapters 5-7 this weekend and especially contemplate what Jesus taught us to do in Matthew Chapter 6– the essence of giving selflessly, of praying genuinely, and of denying oneself to honor God, all so we can lay up treasures in Heaven. That is precisely what the hundreds of volunteers have done this week and will continue to do this coming week. All of us united as one in Christ! There simply is no better way to celebrate the Resurrection of our Savior than through our obedience to these teachings. 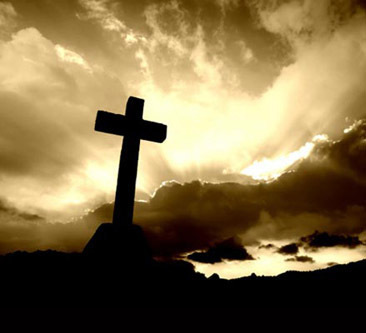 May God truly bless all, victims and volunteers, this blessed Easter season! This entry was posted in Disasters & Emergency Services. Bookmark the permalink.